The owners of this beautiful 5 acre rural lot in Woodside wanted to take full advantage of the outdoors, capitalizing on the serene views and large mature oaks. We were asked to remodel and renovate a dilapidated barn, design a new 6,000 square feet main residence (not yet built) and to design a new pool pavilion. The pool pavilion was designed to be reminiscent of a thirties WPA mountain lodge using heavy timber, stone and concrete. We wanted the structure to feel solid and secure,yet light and open. Under the heavy wood beamed ceiling, the large openings command expansive views of the property and the distant hills beyond. The space contains living, dining areas and a kitchen. 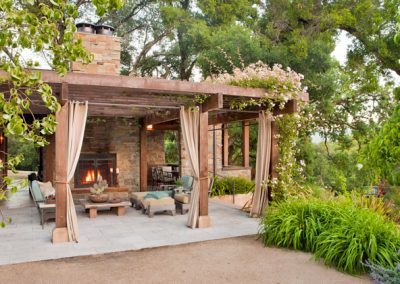 A grand double-sided stone fireplace opens up to both the inside living space and the outside BBQ patio which is covered by a heavy wood trellis. There is also a changing room, toilet room, and indoor and outdoor showers. 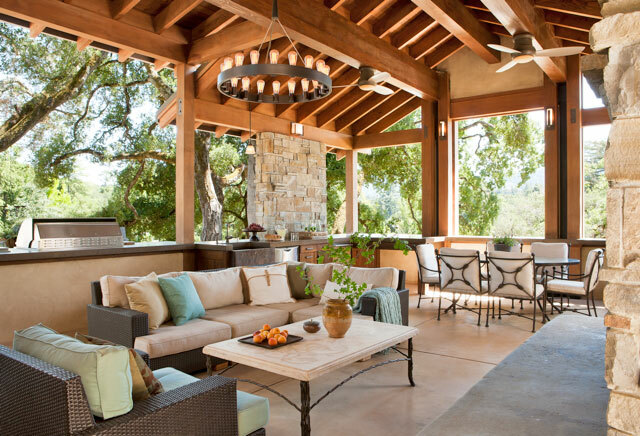 This structure is meant to be enjoyed by the family and for entertaining all year round. 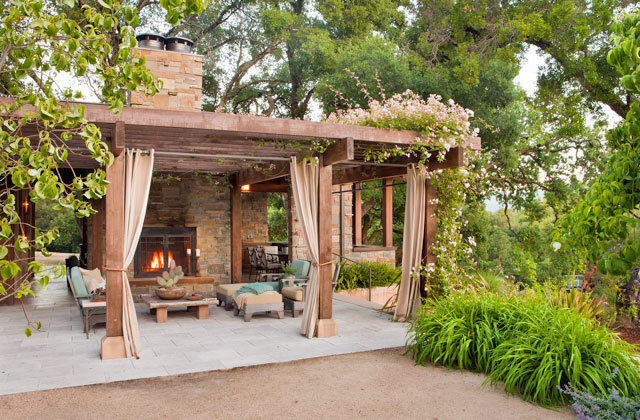 The pool and landscaping was designed by Vera Gates of Arterra Landscape Architects in San Francisco.